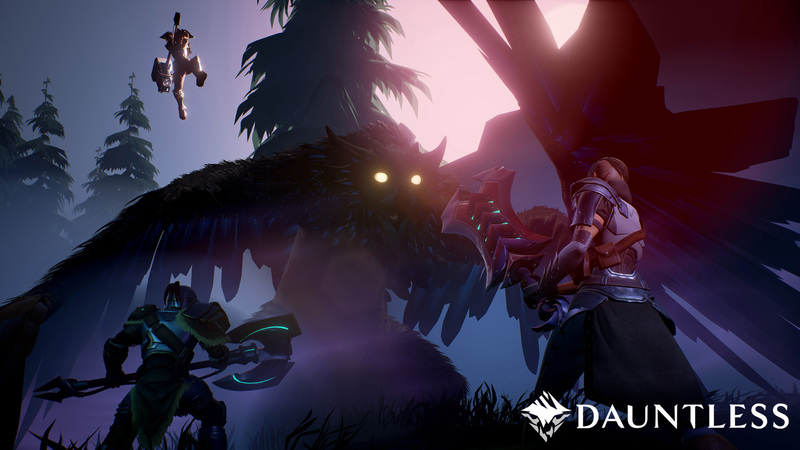 Having participated in the closed beta for Dauntless, I was ready to take on behemoths at PAX East. On top of my experience, I had my normal trustworthy Monster Hunter squad. We were ready to slay some behemoths! But we needed one more player. In comes Jordan Dodds, the community manager for Phoenix Labs, who is now our favorite person ever. Jordan allowed us to choose which beast we wanted to battle. Although since I had prior experience, Jordan popped out a hidden menu introducing the squad to two new behemoths. 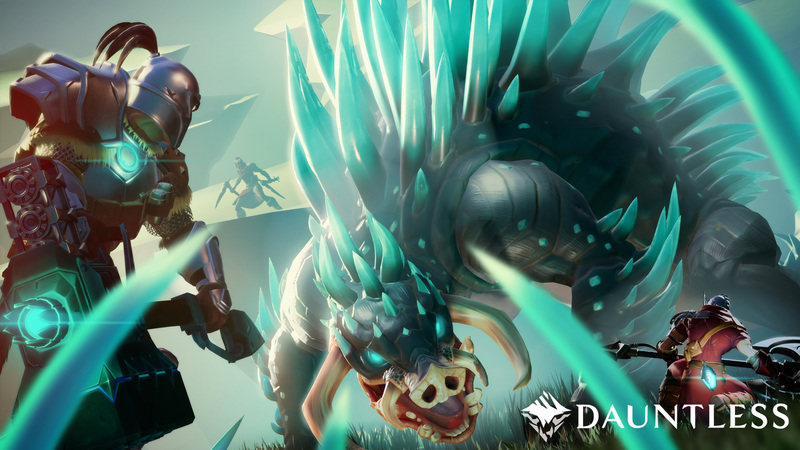 These hidden behemoths are essentially the “dark side”, aka. tougher variants of behemoths that were playable at PAX East. With two experienced players and two non-experienced players, battling a hardened enemy was going to be interesting! Luckily, Jordan was our tour guide, showing us how to conquer our first behemoth at PAX East. Our entire gameplay session against the behemoth Moonreaver is included below. However, commentary isn’t included with the gameplay, so allow me to say it was one of the most entertaining games I have played in a while! 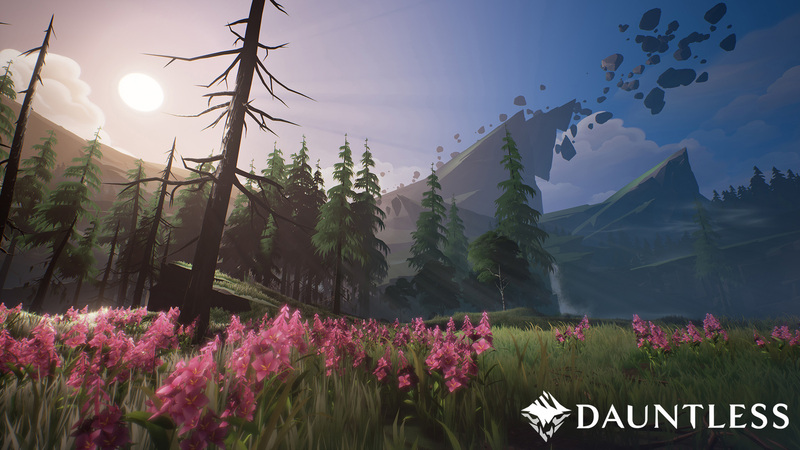 Dauntless removes all of the boring stuff that other games introduce. 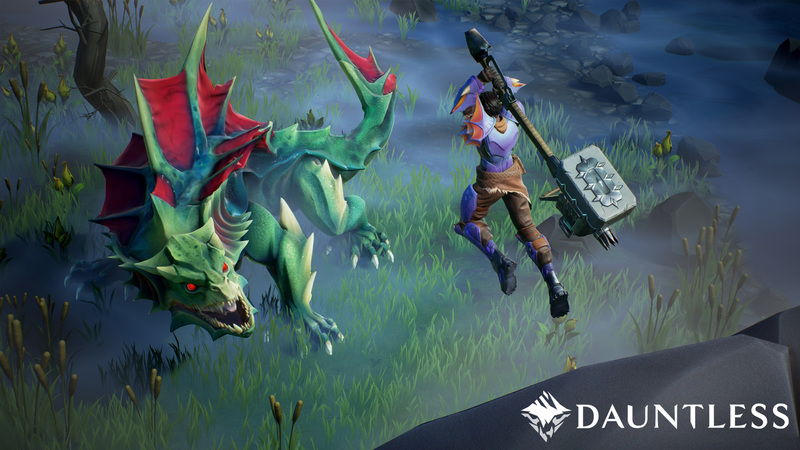 Instead, Dauntless catapults you straight into the boss fight. At first, it might seem weird to only face bosses. On the other hand, the greatest part of playing a game is to reach the boss and win. What if every game session was a straight battle with the boss? After playing the beta some more, boss only battles definitely works, and I absolutely love this game. 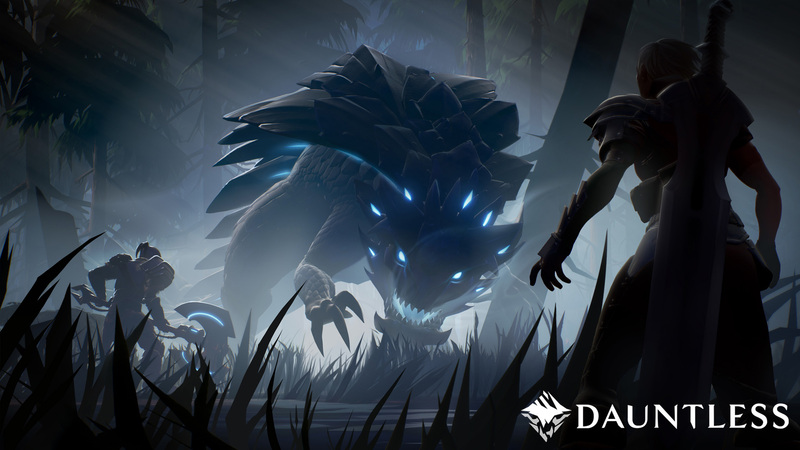 As soon as it’s available, Dauntless is a must play for any fan of the genre. There are important life skills to be learned from hunting which include patience, awareness and most importantly, survival. 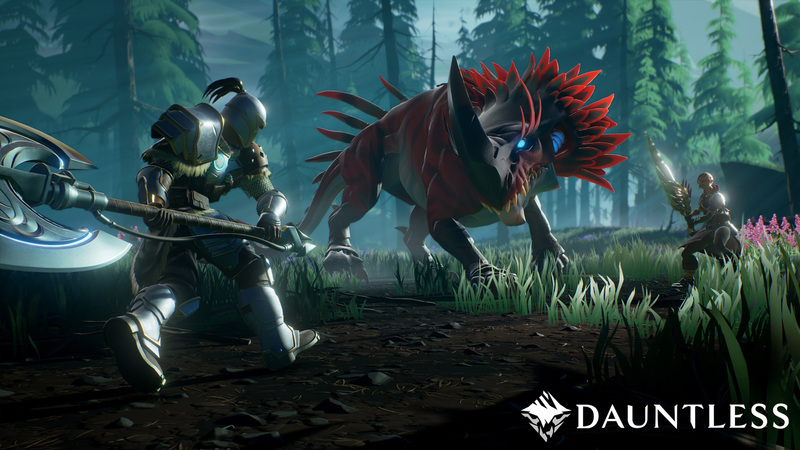 When it comes to action RPG, Dauntless allows you to test each of these skills and more. Do you seek the thrill of the challenge or just harvesting material? Why not do both. 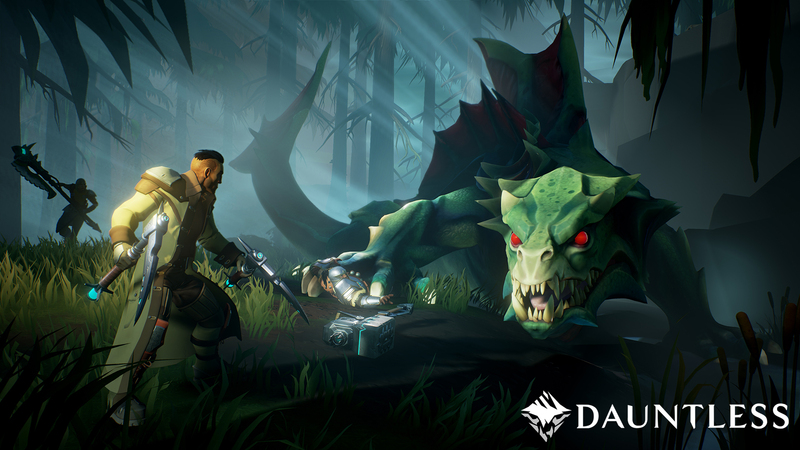 Constantly harvest items and craft new gear to take on even bigger challenges which will award greater loot. Become a slayer. It’s like working for an animal control service but with style. Instead of coyotes, you’re tracking behemoths the size a semi-trailer truck. Customize your character by picking your ancestors and toggle between their traits. The sense of satisfaction when completing a hunt is priceless. You cherish the struggle and relive triumph. Our fight against Moonreaver was a humbling experience. Everything was going well and it seemed like the hunt was in the bag, then bam – time’s up! Is this possibly a game that Jack can enjoy? 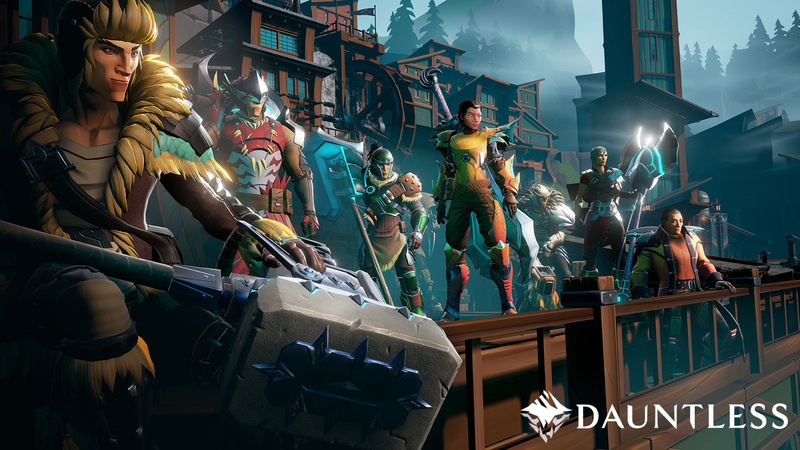 Become a founder and join the closed beta at https://playdauntless.com/.